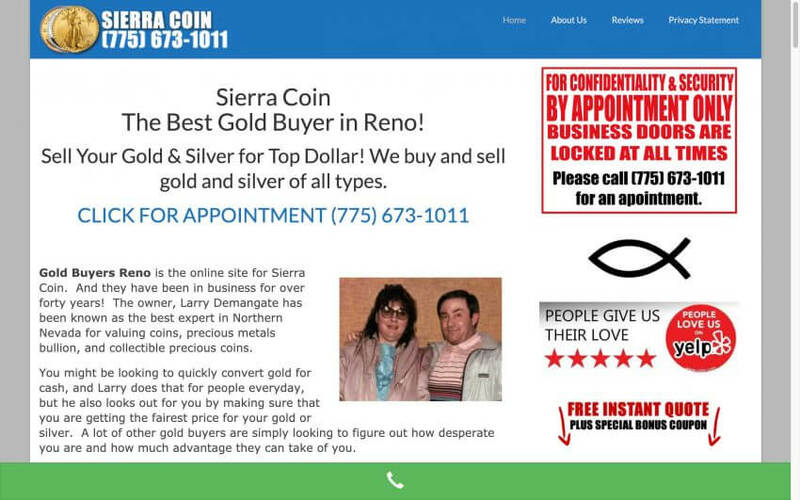 I personally go back a long way with Larry at Reno Gold Buyers – Sierra Coin. He remembers visiting our home in Lake Tahoe when I was a little girl. In recent years, we reconnected and I told Larry about my husband, JR, who does an amazing job building websites and making them rank. At that time, Larry was paying thousands of dollars per month to have his ads in the Yellow Pages. Fact of life, the Yellow Pages are antiquated in todays online world. People are using Google to find business’s on their computers, i-pads and phones. So, JR built him a great website that is mobile friendly and Larry is saving thousands not paying for ads that were not giving him much business.